When recent San Francisco State University graduate Iana Lim started high school, she had no interest in joining the military. It was her brother who wanted to follow that path. He invited her to tag along when he met with U.S. Navy recruiters, however — an invitation that changed her life. Lim accompanied her brother to his recruitment visit, elected to join the Navy after high school and went on to serve her fellow veterans in an array of roles at San Francisco State University. For this, state assemblyman Phil Ting named her Veteran of the Year for California’s 19th District, which encompasses parts of San Francisco and Daly City. The honor is something a younger Lim would never have predicted. She and her family immigrated to the United States from the Philippines when she was 12; joining the armed services in her new homeland never crossed her mind until that fateful day in the navy recruitment office. Lim served in the Navy for four years, then continued to support her new Navy family as a leader of the veteran community at San Francisco State. She became president of Veterans at SF State (V.E.T.S. 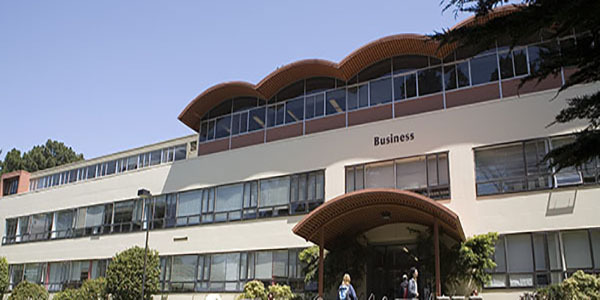 @SFSU), was chair of the University’s committee on Veterans Issues for Women and worked as a supervisor for the Veterans Administration Work Study program. One of her major contributions was increasing V.E.T.S. @SFSU membership and attracting female members. “When I started, there were no female members, but I felt that was an important population whose needs weren’t being heard,” she said. Ben Yang, program coordinator for Veteran Services at SF State, oversaw Lim’s work at the University and witnessed her going above and beyond to serve fellow student veterans. Lim created an environment that was accommodating, especially for female veterans, Yang adds. “Iana reached out to female veterans and women who are dependents of veterans personally to see what she could do for them,” he said. Lim plans to pursue a master of business administration degree. Her ultimate goal is to do something that positively impacts people around her and effects change in the world.